I had only five people I felt I could tell anything to in my entire life until I went to college. Two were school friends, two were grandparents, and one was a cousin. I really didn’t have any true friends outside of my cousins until I was eleven years old. But I guess that happens when you’re the odd smart kid who’s too proud and stubborn to hide your smarts and eccentricities. Maybe I would have done better in an environment where I wasn’t the odd man out all the time. But I’ll never know. It was lonely. But I eventually came to prefer to be alone most of the time because I didn’t fit in among my classmates. I didn’t learn much in the way of social skills until I was well into my twenties. Even at the age of 35 I still feel like I’m behind the curve in the way of social skills. Today none of my friends and confidants live in the same town I do. I moved here because the job prospects and health care in this town were better than my home town. I wanted to start over. Yet the older I get I find the less opportunities I have for traditional socializing. I have better socializing and more in common with anonymous posters on Facebook and youtube forums than I do with people in my hometown. I really don’t like the idea of going back to work because 1) I’m tired of dealing with the same old office politics and low grade hostility I’ve faced at every job since age sixteen and 2) my confidence in my work performance is gone. I really don’t like the idea of going to mental health support groups because the ones I’ve been to I’ve seen too many people who can’t or won’t learn from their mistakes. I can’t claim to be perfect on this myself, but at least I don’t ask for advice and then just do the same old nonsense over and over. I just don’t ask for advice anymore. I won’t go to AA or NA because I don’t have drinking or hard drug problems. I won’t go back to college because I can’t afford it and there really aren’t that many 30 somethings in college, at least not from what I’ve seen or will get to see. I certainly refuse to do the bar scene. Last time I was at a bar was three years ago at a New Year’s concert and some girl chatted me up and was all sweet to me just to make her boyfriend jealous. I still don’t know how I talked my way out of receiving a beat down on that one. It seems there aren’t any options for singles in their 30s to socialize outside of work and the bar scene. Don’t start with the religious organizations idea. There aren’t any singles over 25 in those organizations, certainly not men (unless you want to be a Catholic priest or monk). I might join a gym in a year or two after I lose another 70 pounds on my own and can actually keep up with some of those guys and gals. When I was a gym member I felt embarrassed watching some of these people who looked like marathon runners and body builders and I was having a hard time doing thirty minutes on a treadmill. I imagine there are lots of lonely and single people in there late 20s and older out there who would love to do some activity that doesn’t involve working, drinking, or church. I read an article that stated that, according to the 2010 census here in USA, there are more unmarried adults than married adults. First time in U.S. history that has ever happened. Granted this includes divorcees, widowed, and probably live in long term relationships. But I have no intention of ever marrying and I’m completely content with that. Would have been cool to have married the proverbial college sweetheart, worked in medical research (I wanted to be a research scientist since I was five years old), had the 2.3 kids, cat and dog combo, and picket fence kind of life. But that is an illusion from an era that no longer exists if it ever did. But a lot of social organizations and businesses are flat out missing out in not trying to attract singles in their late 20s, 30s, and older. I wouldn’t be surprised if within 10 to 15 years you’ll see a lot of single men and women in their late 40s and early 50s who were smart and tight with their money in their younger years who find themselves financially independent and able to retire if they want. I imagine for every person who has $50,000 plus in student loan debts, there is at least one other who learned a trade at a two year program or someone who got out of a four year program with little to no debt. I also know guys who didn’t even go to college who worked on oil wells, in mining, and farming and made close to six figures by their late 20s. And these guys are saving most of their money. I also know guys who started in the military in their early twenties and are staying in for the twenty years required for a pension and they’ll transition to civilian work in their early forties while the military paid for all their education. Many of these young professionals (currently in their 20s and 30s and thus invisible to most people) are living minimalist while being smart with their money. In short, there’s a lot of potential business and money that is being completely ignored because singles in their 30s are not a traditional demographic with any real numbers. I don’t socialize much but not because I don’t have the money to. With zero debt and some emergency money now stored away, I could afford to go to the sports bars most evenings or to concerts on weekends. 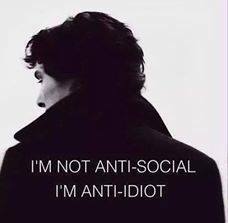 But having nerdy dork interests in a small town setting doesn’t lend itself to good socializing. I’m also interested in exercising but I don’t have the build to run marathons. I’m the only person I know who lifts arm weights while watching Star Trek: Enterprise reruns. Just because a dude is smart and interesting he doesn’t always fit in to all social situations.